For many centuries, the history of the crusades, as written by Western historians, was based solidly on Western sources. Evidence from the Islamic societies that the crusaders attacked was used only sparingly – in part because it was hard for most westerners to read, and in part because much of it was inaccessible even for historians who did speak Arabic. 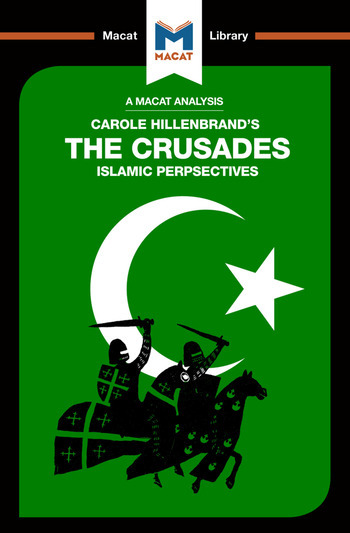 Carole Hillenbrand set out to re-evaluate the sources for the crusading period, not only looking with fresh eyes at known accounts, but also locating and utilizing new sources that had previously been overlooked. Her work involved her in conducting extensive evaluations of the new sources, assessing their arguments, their evidence, and their reasoning in order to assess their value and (using the critical thinking skill of analysis, a powerful method for understanding how arguments are built) to place them correctly in the context of crusade studies as a whole. The result is not only a history that is more balanced, better argued and more adequate than most that have gone before it, but also a work with relevance for today. At a time when crusading imagery and mentions of the current War on Terror as a ‘crusade’ help to fuel political narrative, Hillenbrand's evaluative work acts as an important corrective to oversimplification and misrepresentation. Dr Robert Houghton holds a PhD in early Medieval History from the University of St Andrews. He is currently a Lecturer in Early Medieval European History at the University of Winchester.